Eva Lundsager, Untitled (for BOMB Magazine), 1993, india ink, 21 × 12¾ inches. Two paintings, titled The Rules of Engagement and Dispensation by Richard Kalina. Two untitled ink drawings by Jeanne Hedstrom. 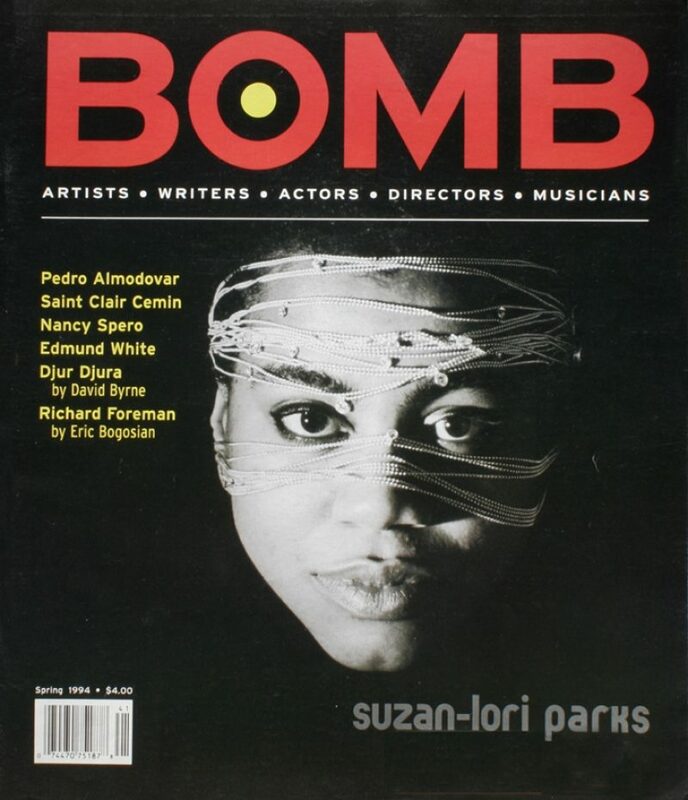 Featuring interviews with Pedro Almodovar, Lily Taylor, Suzan-Lori Parks, Gregory Crane, Saint Clair Cemin, Paul Beatty, Martha Rosler, Djur Djura, Nancy Spero, Richard Foreman, Robert Barry, and Edmund White.